DAVID LE/Staff photo. 5/21/15. 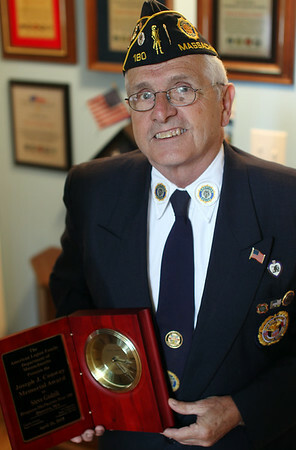 Veteran Stephen Godzik, of Danvers, a 26-year member of the Danvers American Legion Post 180, and a past commander, is this year's recipient of the Joseph J. Conway Memorial Award.